At Playcious kids ninja course in Vaughan, we welcome you fun and healthy practice for the body. You are free to register your children with us or ask for a free ninja course class and we would gladly offer our services where needed. 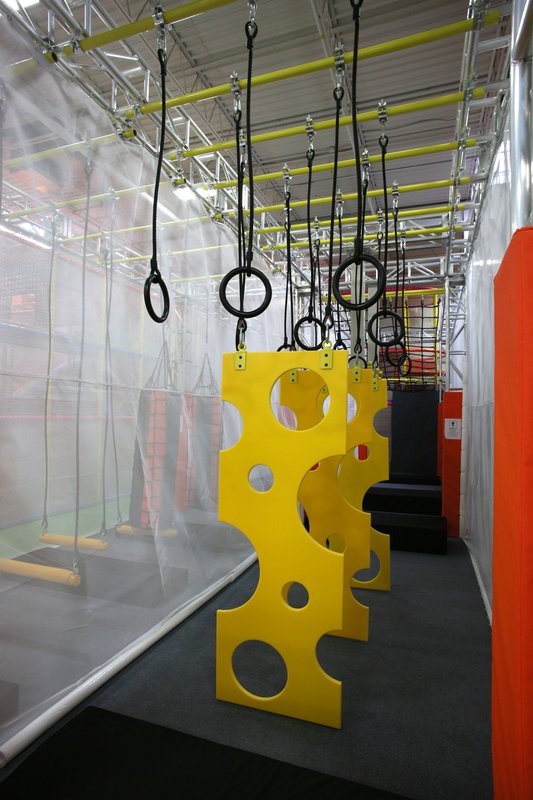 Are you curious to know what our soft play area looks like? It is carefully designed and crafted to avoid injuries and offers many health benefits. An indoor play structure that is intelligently constructed is often referred to as an indoor playground or a ‘soft-contained play structure’. 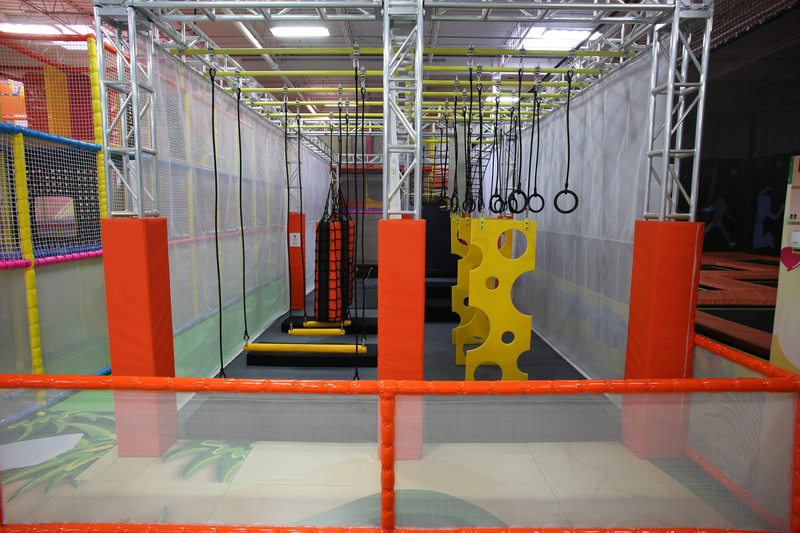 Our large, indoor play center that includes multiple play areas is targeted at children of different age groups. Our structure is designed and built to meet the highest safety and quality standards giving you and your children tons of safe fun. This kind of environment that is an indoor playground for kids in Vaughan is very healthy especially when you have a growing child as this will give more direction for the child’s brain to effectively develop in the areas of reasoning and active social participation plus help to boost self-confidence. Children benefit from an active lifestyle and participating in any sport. Research shows that when kids participate in gymnastics it provides a chance for them to increase their activity so they develop socially and physically. Gymnastics is one of the most comprehensive lifestyle exercise programs available to children, incorporating strength, flexibility, speed, balance, coordination, power, and discipline which we are delighted to offer to you in Playcious kids gymnasium in Vaughan. Playcious is very innovative when it comes to sourcing ideas of great health benefits for every child. We do our best to engage everyone to be healthy at every opportunity available. We love to be creative plus engage everyone so they tap into their creativity level and the gymnasium helps in this area to keep our minds sharp and body healthy to discover our inner strengths. As of 2014, Canada’s overall physical activity level got a D- grade according to the Active Healthy Kids Canada report. This means that even though 84% of Canadian kids aged 3-4 are not active enough to meet guidelines, this falls to only 7% of kids meeting guidelines at ages 5-11, and only 4% meeting guidelines at ages 12-17. Physical activity is one of the most effective ways to ensure kids reach their full potential and to ensure a healthy and productive society for all Canadians.Regular participation in gymnastics can teach children how to live a healthy lifestyle, and remain involved in the sport as they grow up. Gymnastics can help children sleep better, and equip them with skills to better handle physical and emotional challenges in life. Attending a regular gymnastics class provides young children with the opportunity to communicate with people their own age, work within a team, and engage with adults. At Playcious we believe that gymnastics gives children an opportunity to learn about social skills like listening, following directions, taking turns, being quiet, and respecting others. Children also have fun, meet new friends, and learn independence. We welcome you to Playcious gymnasium. Ask for free class. If you have participate in previous Playcious classes, please login to your account for registering new classes. Please keep your coupon code handy.